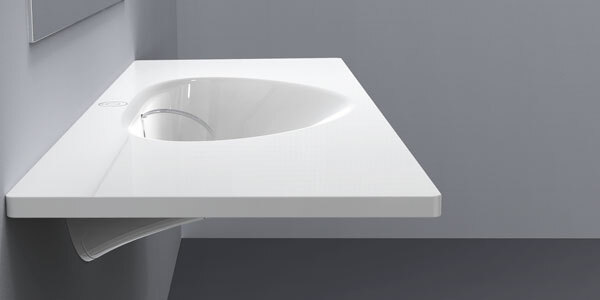 “Spout” is our concept for minimalist bathroom basin design that merges technology and style. 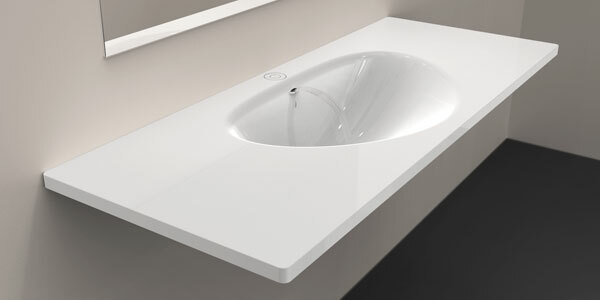 It is a unique basin that incorporates an internal sensor- activated mixer tap. 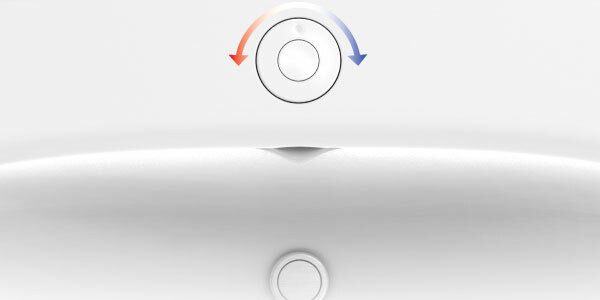 The user simply places their hands in the bowl to activate the water with the desired temperature set via a small dial. 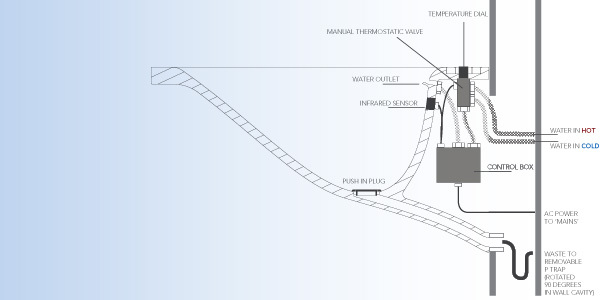 All necessary hardware such as the infrared sensor, control box and power can be housed within the basin. There is also a manual override button housed in the centre of the dial that can be pushed for continuous water if you would like to fill the sink. 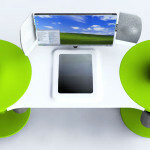 This design was a recent finalist in the Reece bathroom innovation award.